The hardware for my soon-to-be felted purse/bag finally arrived in the mailbox! I love the shape of the triangle ring that will attach to the top. 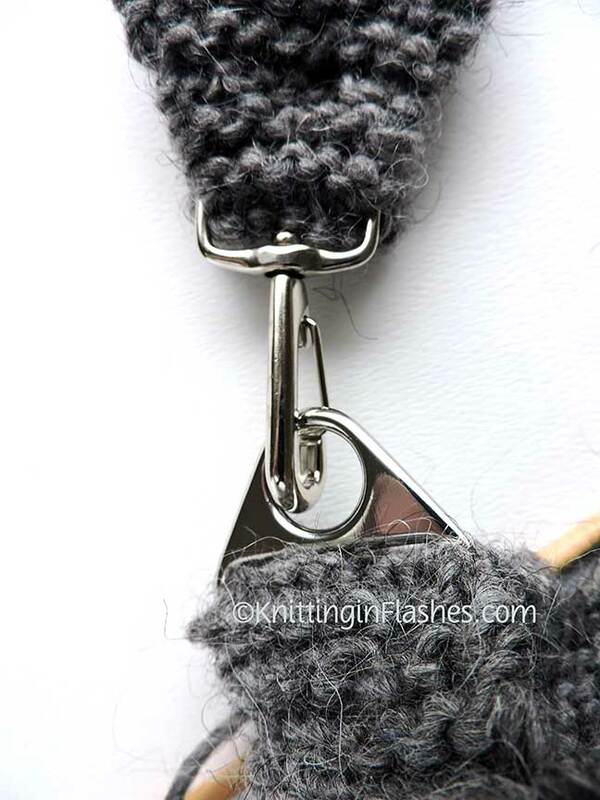 The swivel snap hooks will attach to the triangle ring. 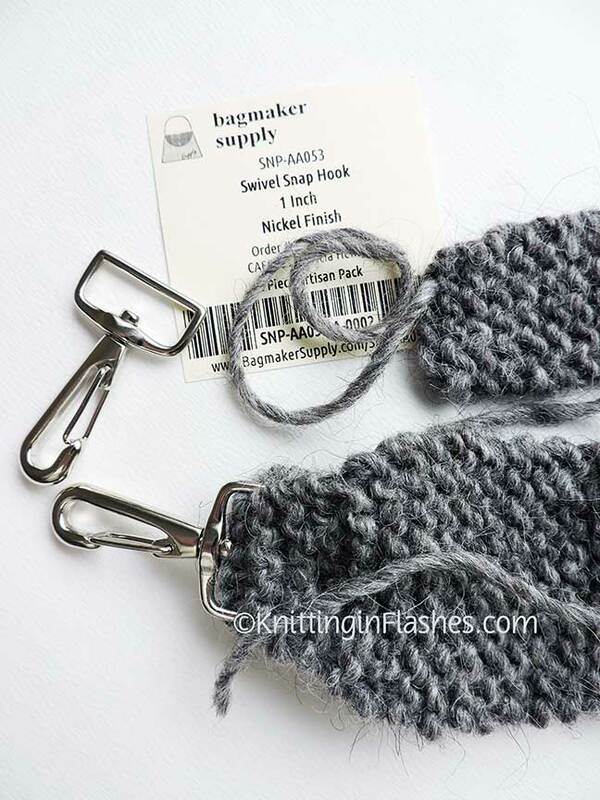 If you need handbag hardware, the rings and snap hooks came from BagMaker Supply. Great selection and reasonable prices. No, I’m not affiliated with them but I will be ordering from them again! Now to the felting process! 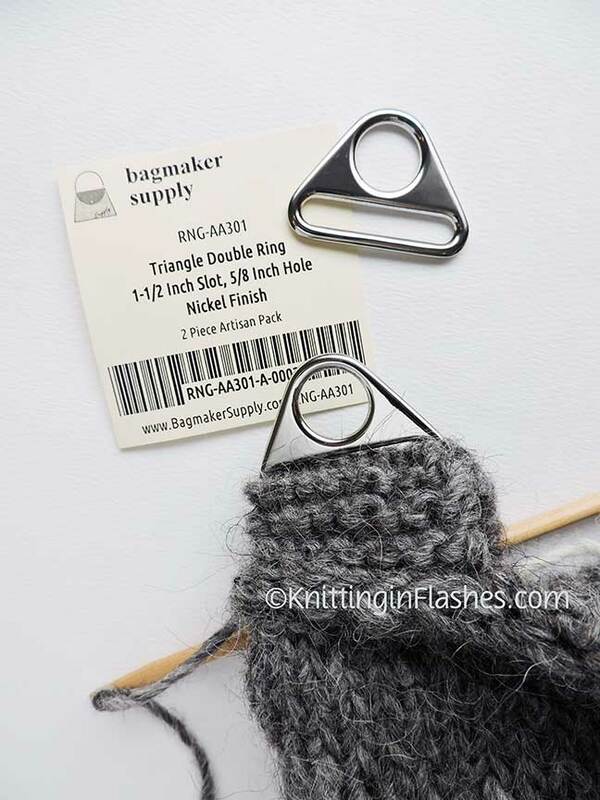 This entry was posted in knit, knitting, knitting pattern and tagged knit, knitting, pattern, purse, yarn by Patti_is_knittinginflashes. Bookmark the permalink. I can’t wait to see the finished bag. Neato!!! I bought a vintage handbag at a thrift store not long ago just for the handles.